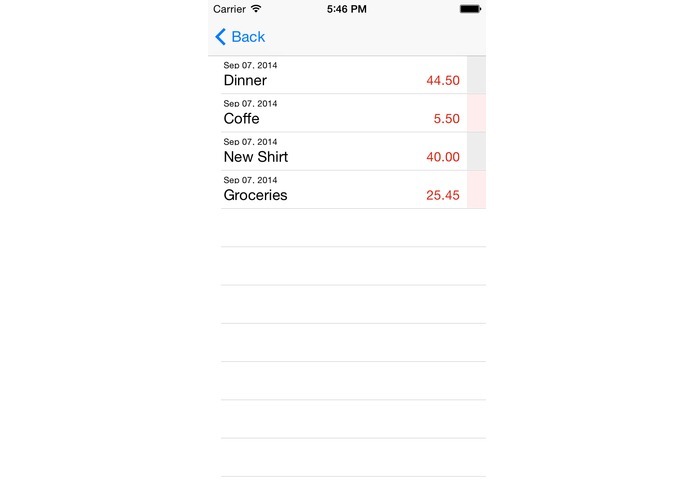 Have you ever wondered how much you spent last month? 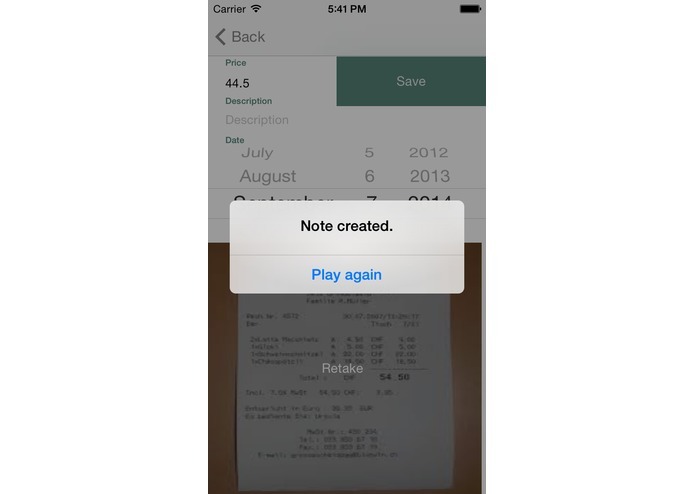 Or you looked for a specific receipt but could not find it in your shoebox? 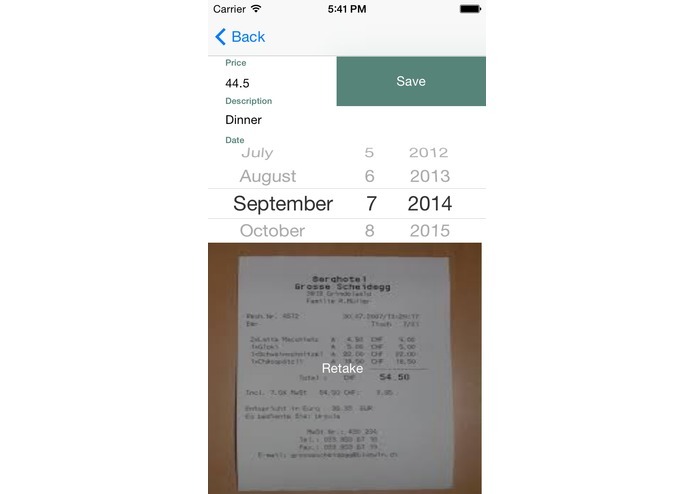 With ReceiptTracker, your "offline" receipts finally become "online". 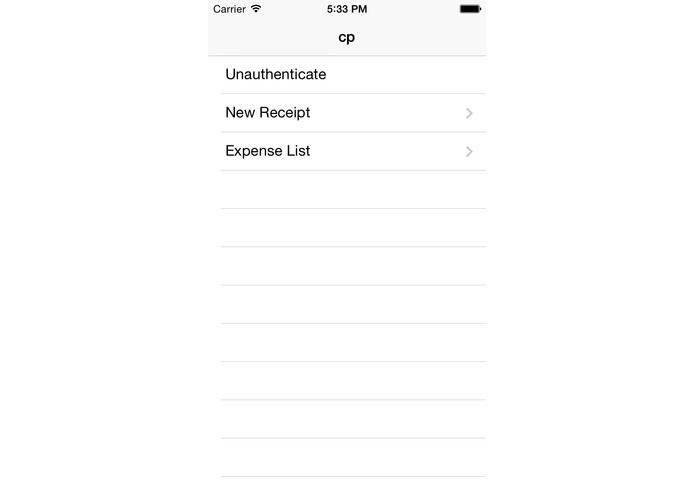 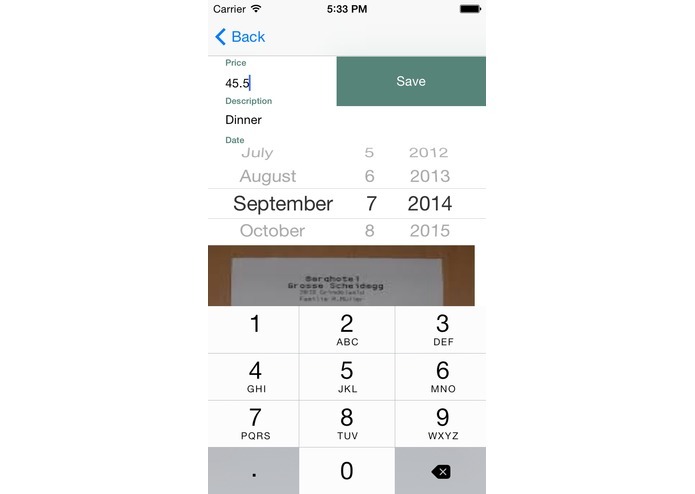 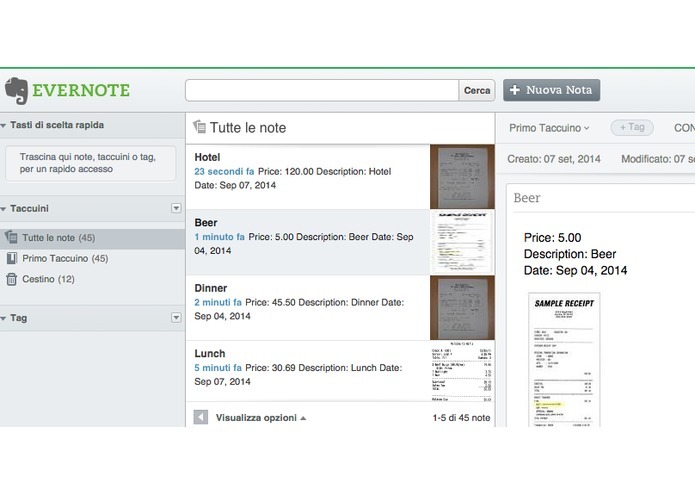 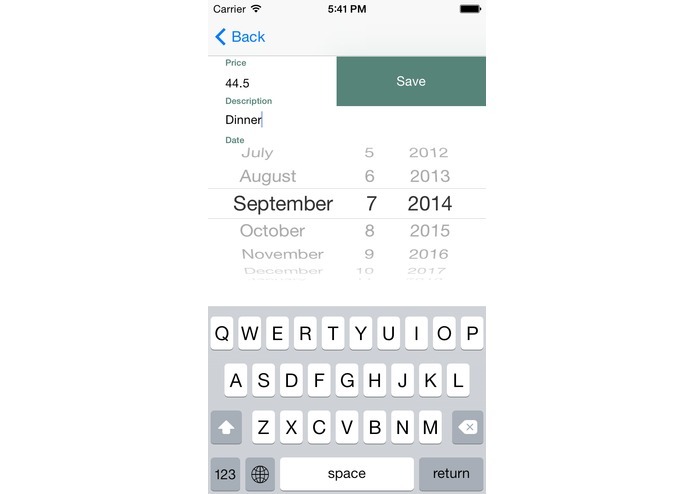 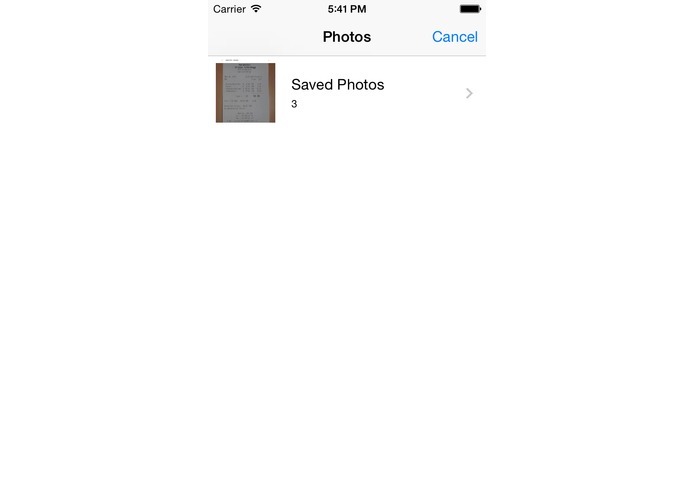 Using Evernote's storage and OCR API, ReceiptTracker offers a seamless integration from your iPhone right into Evernote. 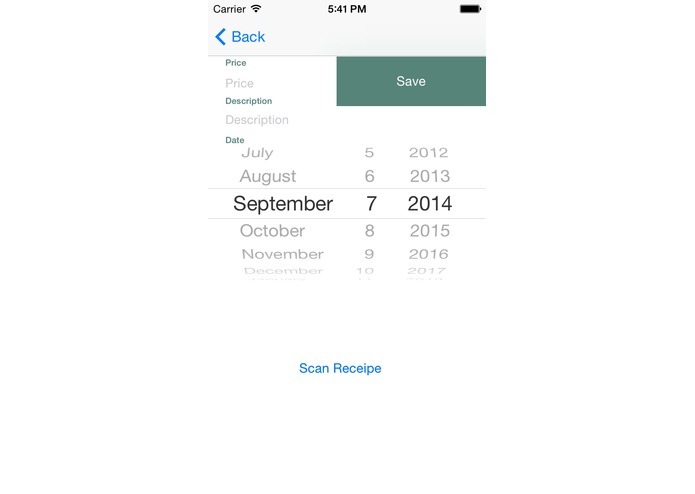 ReceiptTracker is free for everyone and soon available in the AppStore.